“The Church has always paid particular attention to the pastoral care of tourism, leisure and holidays, as opportunities for recovery, to strengthen family and interpersonal ties, to reinvigorate the spirit, to enjoy the extraordinary beauty of creation and to grow in our ‘integral humanity’,” according to Cardinal Peter Turkson, Prefect of the Dicastery for Promoting Integral Human Development, in his message for World Tourism Day 2018. World Tourism Day is observed each year on September 27. The 2018 theme: “Tourism & Digital Transformation”. World Tourism Day, promoted by the World Tourism Organization (UNWTO), is celebrated every year on 27 September. The theme proposed for 2018 – Tourism & Digital Transformation – focuses on the advances made in digital technology that have transformed our era and our behavior by dramatically changing the way we live periods of rest, vacation, mobility, and tourism in all its forms. There have been many changes due to the implementation of the new digital technologies which affect people’s social life, their way of conceiving interpersonal relationships, work, health, communications, extending their “connection” everywhere, enabling us to share information, express and compare a multifaceted and varied wealth of ideas, opinions, and visions of the world. The latest trends show that about 50% of digital travelers are influenced and inspired by observing images and comments online and that 70% consult videos and opinions of those who have already traveled to places, before deciding. Therefore, this commemoration invites us to reflect on the contribution of technological progress not only to improve tourist products and services but also because this progress is part of tourism’s sustainable and responsible development, towards which the growth of the sector should be oriented. Digital innovation is therefore aimed at promoting inclusiveness, increasing the engagement of people and local communities and achieving an intelligent and equitable management of resources. Last year, the international tourism sector registered a global increase of 7% annually and is expected to grow steadily over the next decade. The need for “sustainable tourism” should not be underestimated, since a number of well-known and more frequented tourist destinations experience the negative effects of a phenomenon that runs contrary to a healthy and fair tourism, of so-called “over-tourism”. The Church has always paid particular attention to the pastoral care of tourism, leisure and holidays, as opportunities for recovery, to strengthen family and interpersonal ties, to reinvigorate the spirit, to enjoy the extraordinary beauty of creation and to grow in our “integral humanity”. “Our insistence that each human being is an image of God should not make us overlook the fact that each creature has its own purpose. (…) The entire material uni­verse speaks of God’s love, his boundless affec­tion for us” . Thus, tourism is an effective vehicle for values and ideals when it offers occasions and opportunities for the growth of the human person, both in his transcendental dimension, open to the encounter with God and in his earthly dimension, particularly in the encounter with other people and in contact with nature. The use of digital equipment by the tourism sector’s operators and users is a great opportunity to increase quality services that satisfy new demands, but also to educate people on the shared responsibility towards our “common home” in which we live, generating forms of innovation for the functional recovery of waste, recycling and creative reuse that helps protect the environment. If, however, “there is a tendency to believe that every increase in power means an increase of pro­gress itself, an advance in security, usefulness, welfare, and vigour; an assimilation of new values into the stream of culture, as if reality, goodness, and truth automatically flow from tech­nological and economic power as such”, we run the risk of an incorrect and annihilating use of human dignity itself, with harmful consequences. In particular, this concerns the production and use of “data”, especially personal data, which are generated within the “digital world” and the preponderant role of the algorithms that process the data and produce, in turn, additional data and information, at different levels, also available for those who intend to use it for purely commercial, propaganda or even manipulative purposes and strategies. Algorithms, in fact, are not simple numbers and neutral sequences of operations, but rather elaborations of intentions that pursue precise aims and can be used to influence personal choices and decisions, and affect the formation of individual thought and consciousness. When technological tools “become omnipresent, they do not favor the development of a capacity to live wisely, to think in depth, to love generously” . “That is why the time has come to accept decreased growth in some parts of the world, in order to provide resources for other places to experience healthy growth. (…) technologically advanced societies must be prepared to encourage more sober lifestyles while reducing their energy consumption and improving its efficiency” . Access to digital equipment must be made possible for everyone while respecting and safeguarding the freedom of choice of individuals. 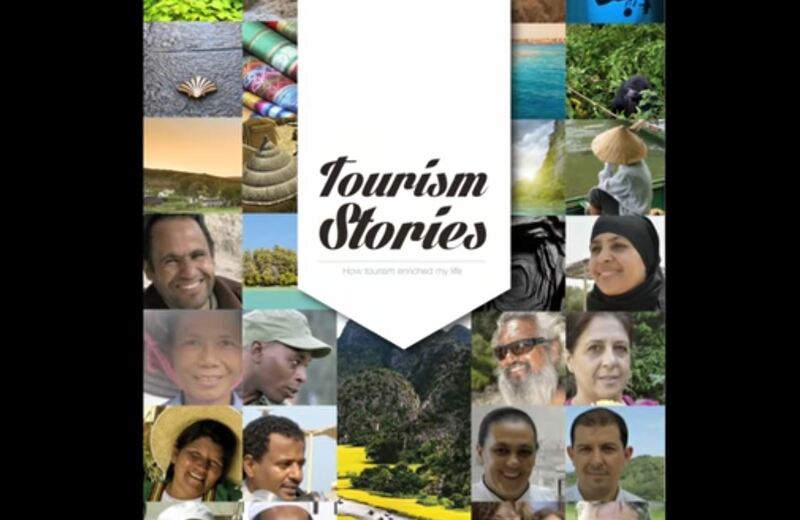 The ultimate goal is not to implement tourism with new digital technologies, but that the progressive use of technology be accompanied by a growing awareness of the individual and the community respectful use of the environment for sustainable development. A special thought goes out to the younger generations who make up the largest proportion of digital users. In the Instrumentum Laboris being prepared for the 15th Ordinary General Assembly of the Synod of Bishops on Young People, n. 3 discusses how it is necessary to offer them paths for formation and anthropological education, so that they may live their “digital life” without separating online and offline behaviour, nor allow themselves to be deceived by the virtual world that distorts the perception of reality and the loss of identity connected with an erroneous representation of the person. As Pope Francis reminds us: “It is not enough to be a passerby on the digital highways, simply ‘connected’; connections need to grow into true encounters. We cannot live apart, closed in on ourselves. We need to love and to be loved”. The hope that this Dicastery formulates for all, tourists and vacationers, is “that tourism will contribute to glorifying God, and to increasingly validating human dignity, mutual knowledge, spiritual brotherhood, refreshment of body and soul”. Cfr. Politecnico of Milan’s School of Management, Osservatorio Innovazione Digitale nel Turismo, 2017. Francis, Encyclical Letter Laudato si’, 2015, n. 84. Synod of Bishops, Instrumentum labors of the 15th Ordinary General Assembly of the Synod of Bishop, on the theme: “Young People, the Faith & Vocational Discernment” [3-28 October 2018], n. 3.